Fishing can be boring at times. You want the rewards, but you don’t have the patience to get them. There are likely a thousand things that you would rather do than sit at a pier or in a boat all day. However, you don’t need to. A fishing rod holder is a tool you need to keep your line steady so that you can do something more productive or fun. You can steer your boat, play some cards, have a delicious meal, and much more as you wait for an eager fish to bite. Fishing rod holders not only make your job as an angler easier, but they allow you to multitask, and not in a way in which your brain would hurt. In this review, we will be discussing six of the most popular fishing rod holders in today’s market. Participating brands include SeaSense, Scotty and Plussino. Each of them has things we like and things that need to improve, and we will tell you everything about them all on this here page. After reviewing each holder, we will then show you which holder will best suit you on your boating excursions. Without further ado, here are the best fishing rod holders that we will review. Plussino is a well known name that has made some great fishing products over the years. Their fishing rod holders seem to be like another hit on our hands. This is a clamping holder that can be clamped to the side of a boat, a kayak, a rail or anything else. The clamp opens at two inches wide. Anything that is two inches in thickness, this holder can firmly clamp to. This is a versatile rod holder that can also turn at 360 degrees. Plussino’s fishing rod holder is made of an ABS plastic. ABS plastic is an eco-friendly, high impact and heavy duty material that is perfect for boat outings and is very affordable for many anglers. This fishing rod holder can fit many different types of rods, including spinning, casting and spincast rods. Now you do not need to but a specialty holder for a specialty rod; this will do just fine for any rod that you might own. This holder also comes with a one-year warranty; practically unheard of for fishing rod holders. Should anything happen to your holder in the span of a year, you could be eligible to get it replaced for free, so long as it wasn’t you or anybody else at fault. While this rod looks professional, the plastic is not thick, but rather flimsy. With aggressive use, something can happen to the rod that can cause it to crack, or even break. This first of two scotty fishing rod holders come in three colors: Black, grey and white. Ours is black. It has a simple design that doesn’t come with any other gimmicks or clamps. This is a mounting holder. Screw it into your rail or boat and you have a strong foundation in which the holder will never come out and go overboard. Also included is a front locking ring so that your rod is firmly secured when your boat sets sail on the most treacherous of seas. This fishing rod holder can store any type of fishing rod, whether it be casting or spinning. It can also turn at 360 degrees so that you can pull and reel in fish as masterfully as if this rod was still in your hands. This rod is made of a high-grade nylon, making it one that is reliable, resilient and strong. You can count on this rod to last a long time and serve you through dozens, if not hundreds, of outings on the water. This fishing rod holder is rather large in size, and many anglers are not a fan of it. With that in mind, lightweight rods can risk slipping right out of its grasp and into the water. Just because it is big doesn’t mean that it can manage to protect your rod. Cannon has come up with an effective yet affordable fishing rod holder that is definitely worth a look at. This is a mount-style holder that is made of some sleek, ABS plastic. Its brand name is printed in large, gold letters along both sides. The downrigger features a three-position configuration that can allow spinning rods to pick up swiftly and baitcast rods to deliver in a fast manner. The spring-loaded knob will allow adjustments to be made quickly and tolerable, so that you can direct the rod in the most comfortable angle possible. You can turn the rod and 360 degrees, and this holder can be mounted either on the top or on the side of a rail; whichever works for you. The holder is designed in a practical manner so that the rod stays in and comes out at all the right times. The most tension goes around the middle of the rod’s handle so that it stays in and never falls out on its own. This is a great rod holder that will adapt to you, and do not expect the other way around to happen after purchasing it. But like the Scotty Powerlock rod holder, the Downrigger might just be too big for some of your smaller fishing rods. If you have rods that you find to be flimsy, lightweight or small, proceed with caution. Amarine has an unorthodox style for a fishing rod holder. It looks like a plain-looking pipe and it is clamped in with a pair of screws. The holder is nine inches in length, and has a 1.6-inch diameter for your rod to be placed through. How this holder works is that you find a round or round-like rail that is 1/7 inch or one inch in diameter. Take the rod holder and the base and sandwich them in between the rail. With a pair of screws that are included, you connect the base so that it travels past the rail and into the holder. The bad thing is you might not have a rail you own that you could use this holder with. If you do, though, at least you won’t damage your rail by having to drill holes through it, like with other mount style holders. Inside the holder is a rubber insert, this insert makes sure that the metal inside does not scratch up your rod as it is in use. The exterior of the fishing rod holder is made of 304 stainless steel. Because of the pointed grooves at the bottom of the holder, this holder cannot turn at 360 degrees, but rather at 32 different directions. It can still swivel up and down just fine, though. The second of two rod holders from Scotty, this holder houses a baitcaster reel in a cradle that is cushioned. There is a slot in front of the rod holder that also allows spinning reels to get held in place. So in essence, this holder can hold spinning and baitcasting rods quite well. This fishing rod holder comes with a side-mounted flange, leaving its bottom open, so that it can be compatible with trigger grips. The one caveat to this fishing rod holder is that it does not come with its own mount. If you have a mount and it is already installed, then you are good to go. If not, then it is one more hoop that you need to jump through so that you can get this product in particular to work. 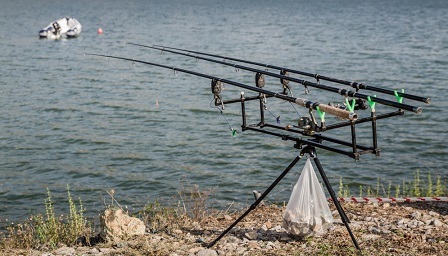 The SeaSense rod holder is capable of holding three rods at once, and is also made in one piece. Because it is an all in one design, you aren’t at risk of breaking one part that would ruin the whole product. It is one sturdy piece that is built to last. This is a plastic holder that comes in white only. This rod holder can hold three rods at once. 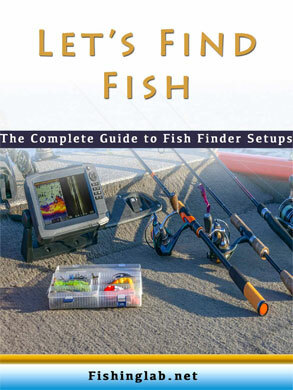 While it may not be a good idea to get three lines going at once, it might be your forte, it might not, but if you’re looking to save money on a boating excursion with a few friends who also love to fish, this is something worth looking into. This rack can be professionally installed to a dock or boat, but you are very likely to install it to the side of your boat, as a mounting it to a public pier might be prohibited. This holder can also store your knives and pliers, so after you get a nice catch, you can do what you need to in order to store it. There is a lot that we do not know about this rod holder. It is made of some type of plastic, but it has not been clarified with us. It is also fairly flimsy, and can crack, if you aren’t careful. To say that this product has some questionable quality is putting it mildly. If you have not yet decided on a fishing rod holder, here are some characteristics to consider. There are pros and cons to either type of holder. Mounts screw into a base or siding of a pier or boat. These are permanent and they are guaranteed to stay in for years. The problem is that they are so permanent that you cannot move them without unscrewing them, and they will leave holes where the holder once was. Clamps fasten to the siding of a pier or boat. These you can just grip on and off like your hand grabbing onto it. Clamps are vastly less reliable than mounts, but clamps have the benefit of portability. Anywhere you go, you can take your holder with you without damaging in property you want to use to fish. Steel and plastic both have advantages over the other. For one, steel is powerful, reliable and long lasting. Steel is a great choice for aggressive boating excursions, but the problem with steel is that it can easily scratch. Plastic, especially ABS plastic, is smoother than stainless steel. Expect significantly fewer scratches on your fishing rod holder. This is a great holder to use for casual fishing trips. Keep in mind though, plastic is not as strong and durable as steel. The best fishing rod holder that we recommend buying the most is the Amarine-made Stainless Clamp on Fishing Rod Holder. This is a very reliable fishing rod holder that works most ideally for boats. If you own a boat, odds are you won’t want to have to drill a hole through any rails or sidings. With this fishing rod holder, you will not have to. With its double-sided clamped design, it will never break free and fall out. It can stay in its position with the rod of your choice for hours on end. While the other fishing rod holders are great, we find that the Amarine-made rod holder is the best because it secures onto a rail very firmly and you don’t have to resort to using any power tools.